More than two years after it launched, a spacecraft called OSIRIS-REx is approaching its target, an asteroid named Bennu. Scientists hope that rock samples from Bennu will provide insight into the likelihood of life on other planets, as well as the risk the asteroid poses to earth. Science correspondent Miles O'Brien explains the delicate“touch and go” method of sampling the asteroid's surface. Science correspondent Miles O'Brien has an inside look at the mission of the OSIRIS-REx probe and the researchers behind it. It's our weekly science and technology series, the Leading Edge. Here's a couple of pictures we got today for just eye candy. It's one of the most potentially hazardous asteroids that we know of in the solar system. But, beyond the moon, sample return missions remain the province of robots. In 2006, NASA's Stardust mission returned a milligram of dust from the tail of the comet. In 2010, the Japan's Hayabusa mission brought back a few micro grains of an asteroid, even though the probe's collection device failed. If we can show the building blocks of life are contained in these asteroids, then those got delivered all over the solar system, and we don't think the chemistry of our solar system is vastly different than the thousands of other solar systems that we are finding elsewhere in the galaxy. Instead of landing, the spacecraft will touch the surface of Bennu ever so briefly, pogo stick-style. It's a touch and go just long enough kick up and grab some dust. As soon as it touches the surface, there's canisters of nitrogen gas that will blow into the surface. It will kick up all of the material in the surface, which then gets caught by the air filter. The whole time this is going on, the spacecraft continues the kind of descend and shorten up the shock absorber. And then we kind of like pogo stick off. We're very excited about starting to look at Bennu with our color imager. And, in particular, we're going to be seeing how rocky the surface is. The odds it's on a collision course with us in the next 200 years are one in 2,700. If Bennu hit Earth, it wouldn't send us the way of the dinosaurs. The asteroid that did that 65 million years ago was about the size of Manhattan. But smaller asteroids are not to be ignored. In 2013, an asteroid 66 feet in diameter buzzed the Russian region of Chelyabinsk. It didn't impact the surface, but caused numerous injuries, mostly from the thousands of windows it shattered. We are paying attention to Bennu. We take it — it's important to understand this risk and to mitigate the risk. What actually survives passing through the Earth's atmosphere to hit the ground may not be representative of all the material that is up there. Most of a meteorite, 99 percent of its mass probably burns off. So, there's a good chance of what you're actually finding is just the strongest material. So, by actually going to an asteroid and bringing back everything we can from at least this little area of the surface, you end up with an unbiased sample. And for scientists, that's when it's game on. The precious cargo will keep them busy for many years, trying to understand the origin and possible ubiquity of life. 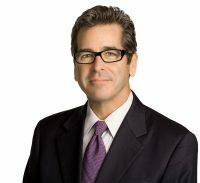 For the "PBS NewsHour," I'm Miles O'Brien in Tucson, Arizona.